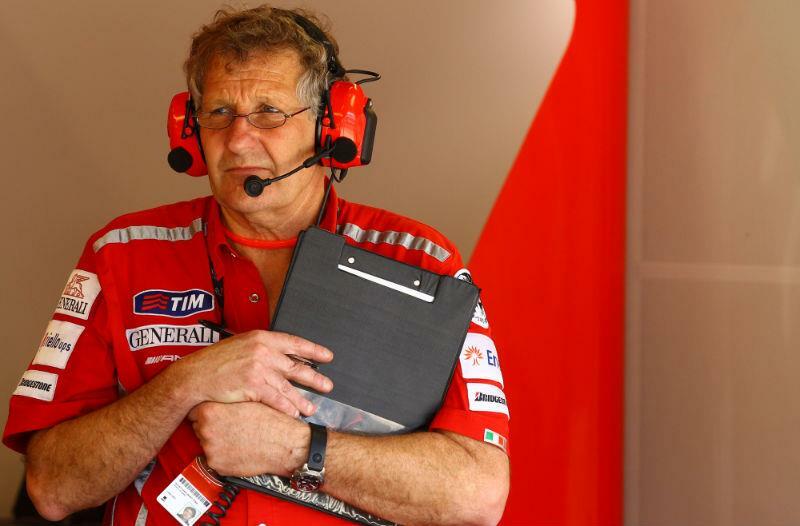 Valentino Rossi’s legendary crew chief Jerry Burgess said it is time for Ducati to start making radical changes to its struggling Desmosedici MotoGP project. Rossi finished seventh in his home race in Misano last weekend but still finished 23 seconds behind race winner Casey Stoner as the GP11.1 machine was comprehensively defeated by Honda and Yamaha again. And Aussie Burgess says the only way to raise the performance potential of the Ducati is to try new parts, with Rossi’s crew out of setting options to try and improve his speed. Rossi has complained of a lack of front-end feel and understeer ever since he jumped on the Ducati in Valencia 10 months ago. The nine-times world champion will test an aluminium frame in Mugello this week and Burgess said Ducati engineers have no other option to adopt a different technical approach to see if can improve the Desmosedici. He told MCN: "We need some more help and some different ideas. Everybody is aware that the feeling the riders don’t get has to be improved and we need to do that by whatever method they decide. We’ve done all we can here at the track and until we get something to work with, we’re really going to struggle to move forward at all. Valentino will go out and go to battle with whatever he has got and he can always say it has to be improved. "We need to make some bigger steps and that is up to Ducati. We’ve moved the bike around in all shapes and positions, as has every other guy riding the Ducati. When we look at the settimgs used by Casey (Stoner) we can put those in too. But it gets to a point where you don’t do anymore."